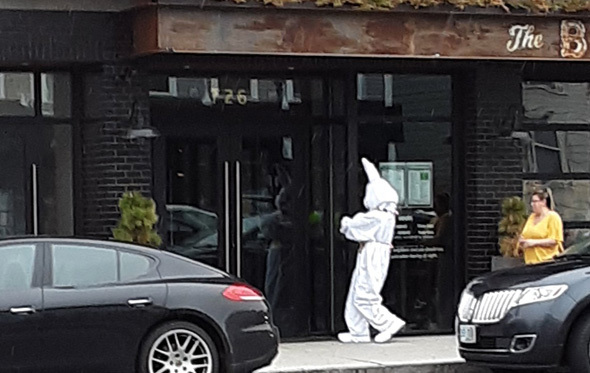 Eileen Murphy spotted a large bunny heading into the Broadway in South Boston at lunchtime. 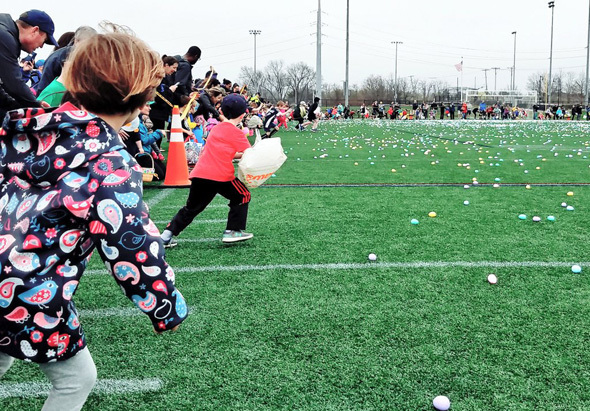 Tim West reports the rains held off long enough for Parkway in Motion's 22,000-egg scrum at the West Roxbury Education Complex's fields this morning. 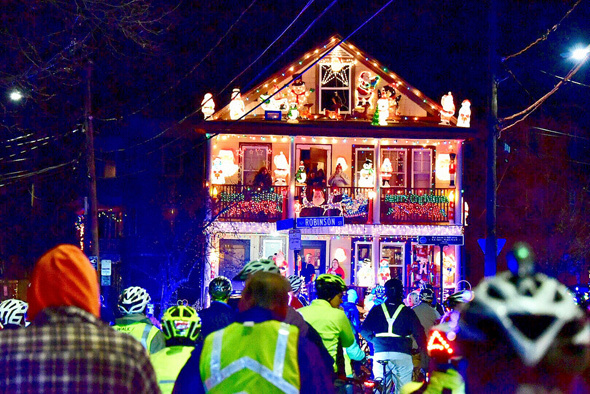 Roslindale had moved its hunt indoors based on today's forecast. Roslindale Village Main Street reports that with Saturday's forecast calling for downpours, it's moved its annual Easter-egg hunt indoors - not just because parents would dread coming home with muddy kids and their mud-laden eggs, but because all that running around in the rain could damage the turf at Healy Field. Read more. 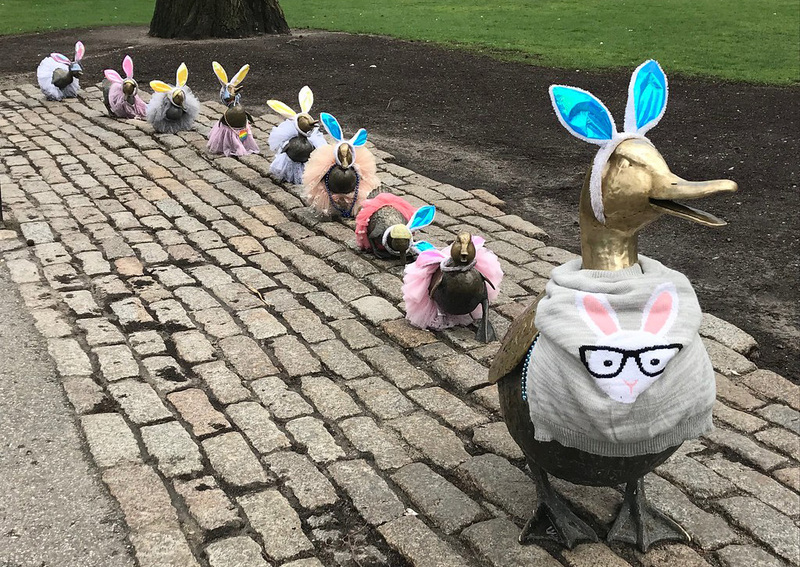 Mrs. Mallard and brood quickly doffed their running bibs and put on their Easter finest, as Lily Wo found out yesterday. 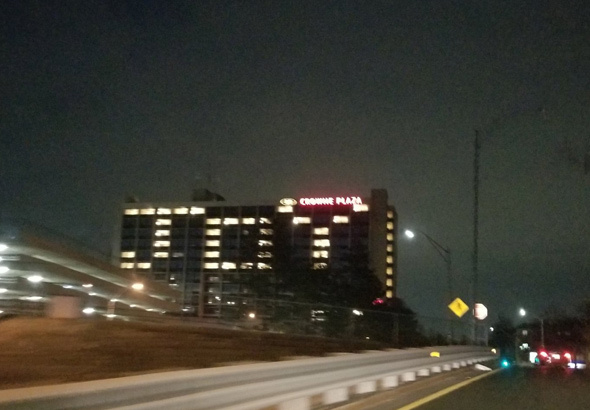 Copyright Lily Wo. Posted in the Universal Hub pool on Flickr. NorthEndWaterfront.com has photos from last night's Lantern Ceremony at Old North Church. Sara Cuthbertson got up early to watch the battle on Lexington Green. 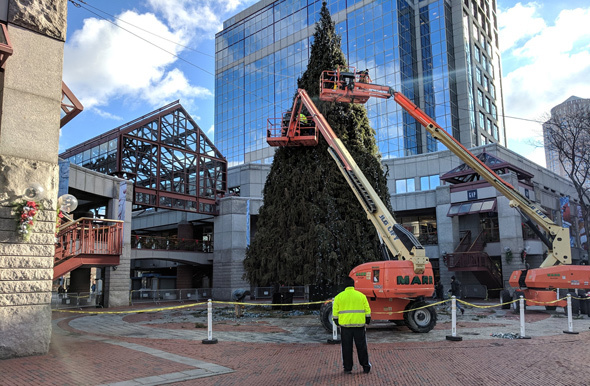 Here's your chance to take that trip to Fitchburg you've been dying to do: On Patriots Day, you'll be able to ride anywhere commuter rail goes for $15 for the whole day. The "Marathon Pass" is available starting today on the mTicket app and starting Wednesday at ticket offices at North South and Back Bay stations. 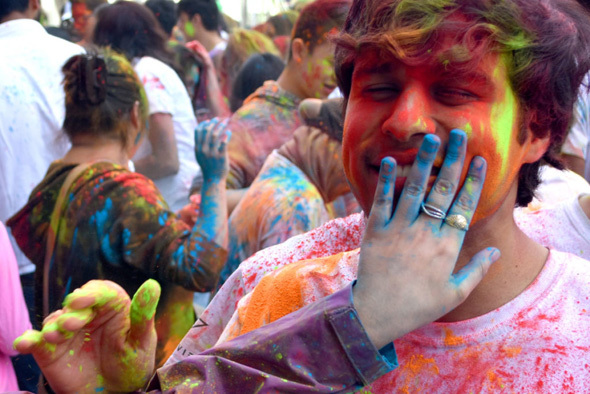 Don't worry about missing out - the pass will also be available on the trains themselves on April 15. Read more. Some St. Patrick's Day parkour? 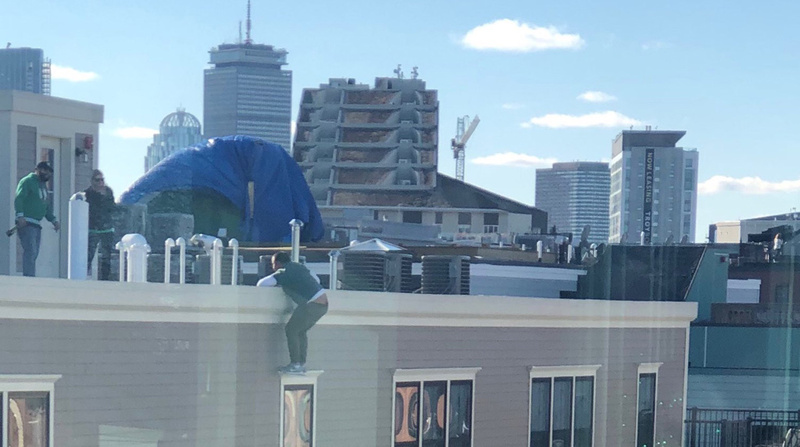 Kelley O'Shea snapped a photo of what she saw in South Boston this afternoon after her nieces and nephew alerted her to "some moron" hanging off a fifth-floor deck. 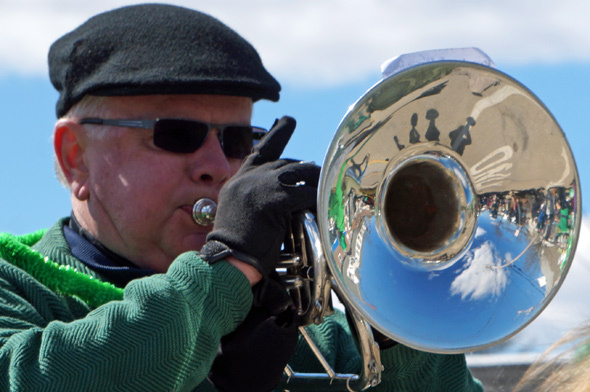 Scituate, the most Irish town in America, had its St. Patrick's Day parade today. Read more. The Dedham Stop & Shop always seem to have one of the largest selections of food that's kosher for Passover outside of Harvard Street in Brookline - and not just the traditional stuff like matzoh and gefilte fish. 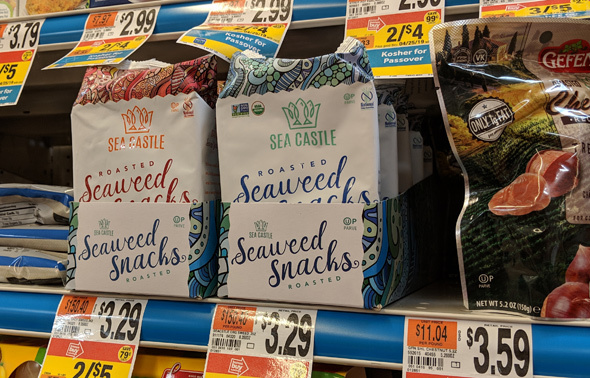 Among the selections this year: Roasted seaweed snacks. 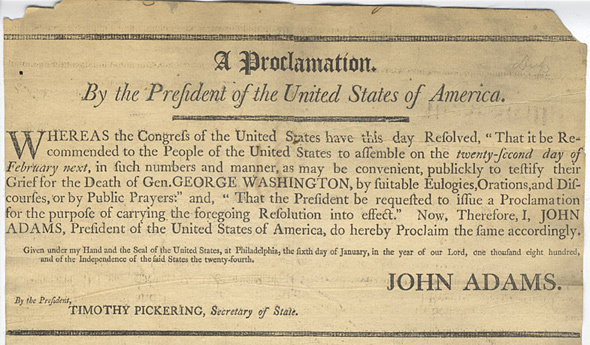 On Jan. 6, 1800, our own John Adams, then serving as president in the nation's capital of Philadelpha, declared a national day of mourning for George Washington, who had died less than a month earlier. The date chosen was Washington's birthday - Feb. 22. 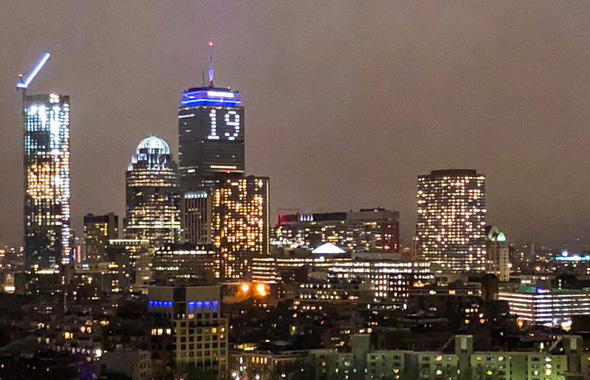 Massachusetts declared its own day of mourning for Feb. 22 that year as well: Read more. 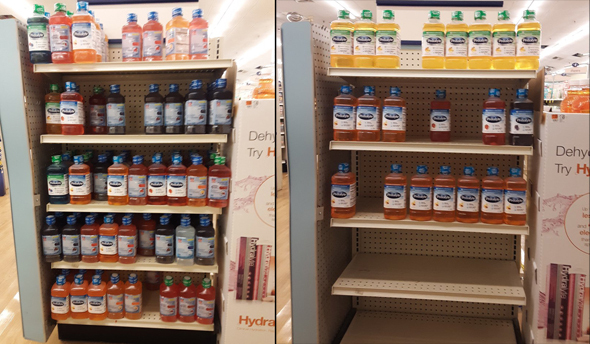 Eileen Murphy noticed what a run on Pedialyte means at the South Boston Rite Aid, with photos of the display case yesterday and then 24 hours later today. Either a whole bunch of babies got sick or the walking wounded revelers put a big dent in the pedialyte display. 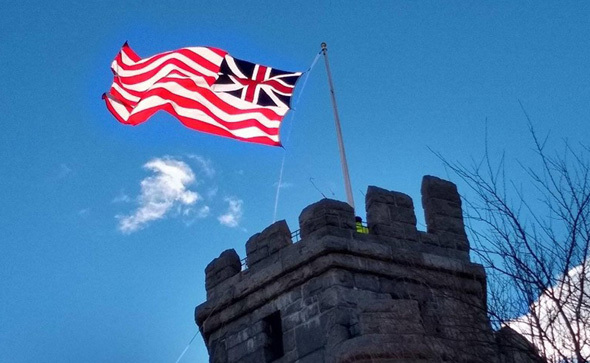 Ron Newman attended the annual recreation of the first ever raising of what we now know as an American flag, on Jan. 1, 1776 over Prospect Hill in Somerville. Washington himself ordered the flag raised over the camp of what was the new Continental Army. Bill Brett watched people in swimsuits run into the bay during the L Street Brownies' annual event. 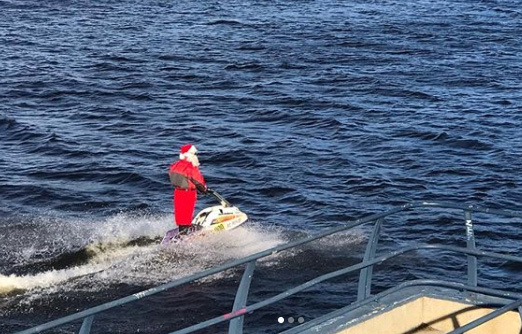 Jonathan Berk joins the Pru in wishing you good tidings for the year to come.